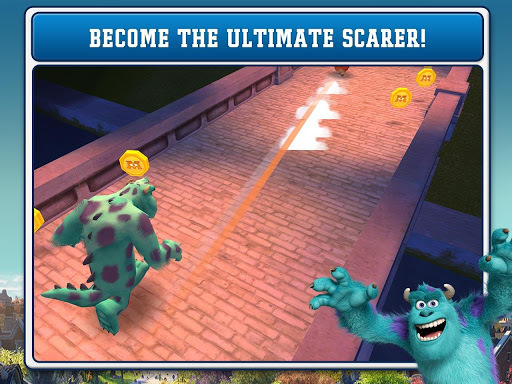 Let the scary out in 2 exciting games based on the Disney•Pixar film “Monsters University,” and prove you’re the ultimate scarer! Prep for more Scare Games to come in future updates! 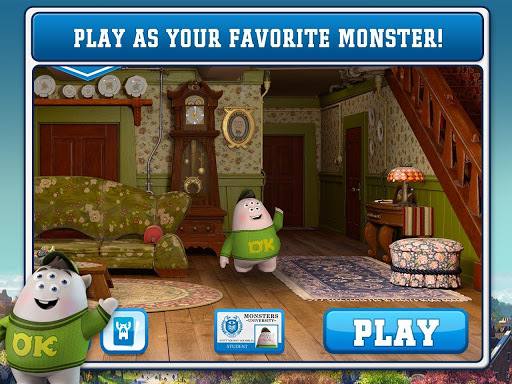 •	Get a hold of Archie the Scare Pig, the squealing mascot of Monsters University’s rival school, Fear Tech, in this thrilling game! •	Chase Archie in 30 exciting stages, and tire him out to win each stage! 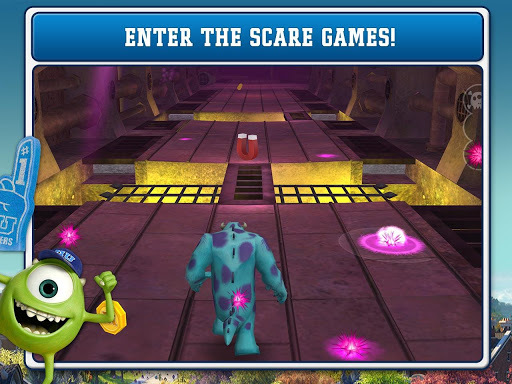 •	Swipe to jump, slide, and dodge tricky obstacles throughout campus! •	Compete in the first scare game event of the year, and put your agility skills to the test! •	Race against the clock, and run through the sewers before time runs out. •	Watch out for the stinging glow urchins that will sting and slow you down throughout all 30 stages! 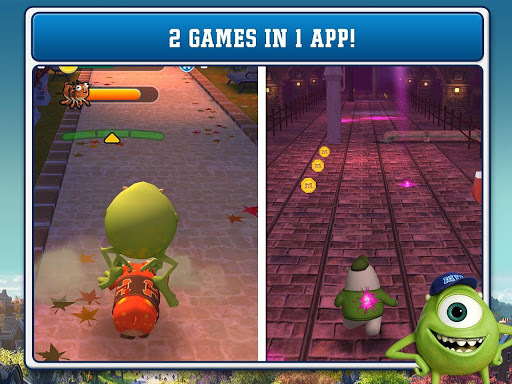 •	Play as 3 of your favorite monsters: Mike, Sulley, and Squishy. •	Level up to unlock special power-ups! •	Find and collect Scare Cards featuring famous monsters. •	The Scare Games continue soon with FREE updates that will include more characters and new games based on the other events!